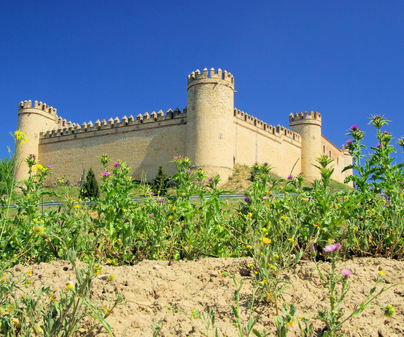 Castle with original battlements, located in the extreme part of the ancient wall of Maqueda. The bailey and the arrow holes are well conserved, which allows us to get a clear idea of how its defense was organized. 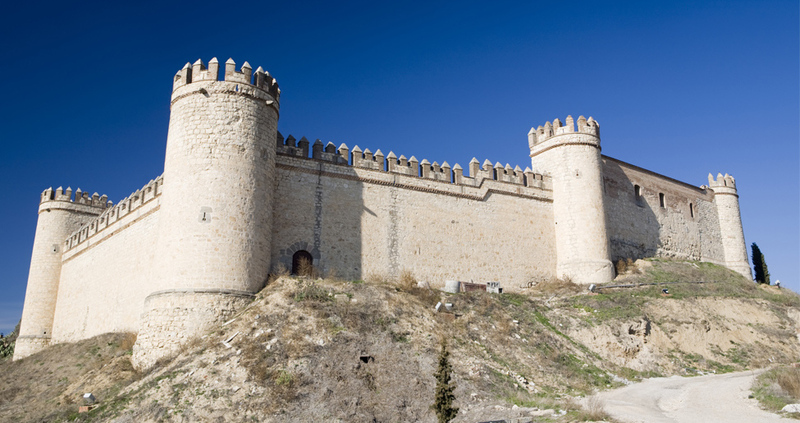 Its main gate, North-facing, has above it the heraldic coat of arms of the Cárdenas-Enríquez family, a married couple who in the 15th century reconstructed the fortress over another one of Muslim origin. The machicolation mixes stone masonry with brick, to which it joins a circular and cruciform loophole. 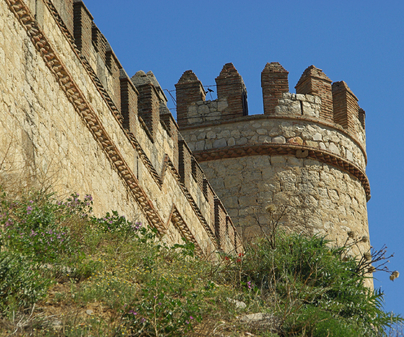 The arrow holes are organized in pairs, located behind a parapet in the bailey, which is two and a half meters tall. It was used as quarters of the Civil Guard until recently. You can only visit the exterior. Queen Isabel the Catholic lived for a time within its walls.